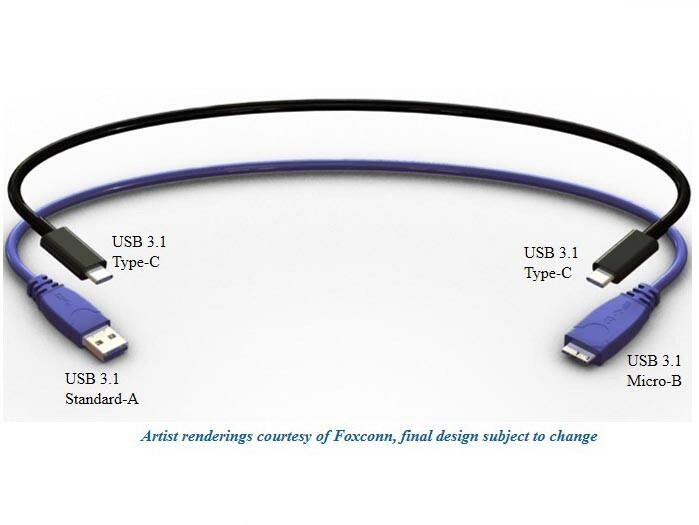 The first concept images of the new Universal Serial Bus (USB) standard, dubbed USB 3.1 or USB Type-C, has appeared courtesy of Foxconn. Intended as a universal replacement to both USB and microUSB connectors, the new USB standard specifications will be finalized by July this year. 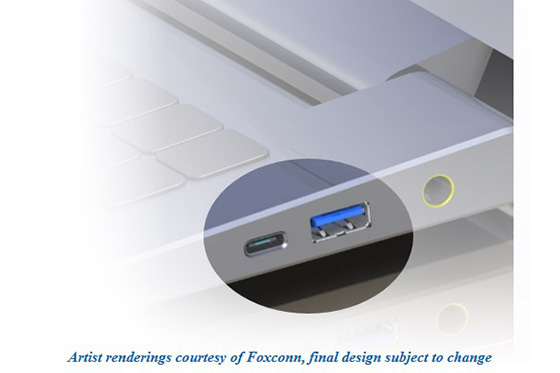 The renders of the USB 3.1 or USB Type-C share a similar design to what has been discussed earlier, with a connector head that is roughly the size of the current microUSB connector. More importantly, the connectors will also be symmetrical like Apple’s Lightning connector, finally ending the age-old issue of determining the connector head’s orientation before connecting it into a USB port. USB 3.1 is said to offer bandwidth support for up to 10Gbps. In comparison, current USB 3.0 only supports bandwidths of up to 4Gbps, while Thunderbolt 1 offers 10Gbps bandwidth. Thunderbolt 2, on the other hand, supports a massive 20Gbps bandwidth. The only product in the market offering a Thunderbolt 2 port is the late 2013 MacBook Pro with Retina Display.